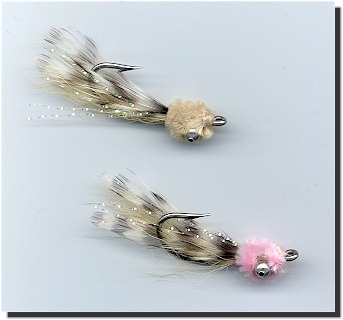 The Mini Puff is a simple, classic style of bonefish fly designed for shallow water conditions and spooky fish. The soft chenille head helps to soften the splashdown of this fly so that it makes less noise on entry, and the barred grizzly feathers mimic the mottled appearance of prey found on the bonefish flats. Be sure to keep a few Mini Puffs in your box for skittish fish in shallow water. 1 3/8 inches in length.